4-8-2 1521 at with Train #4 and 9 cars at Granby, Missouri on September 10, 1944 (Louis A. Marre Collection). 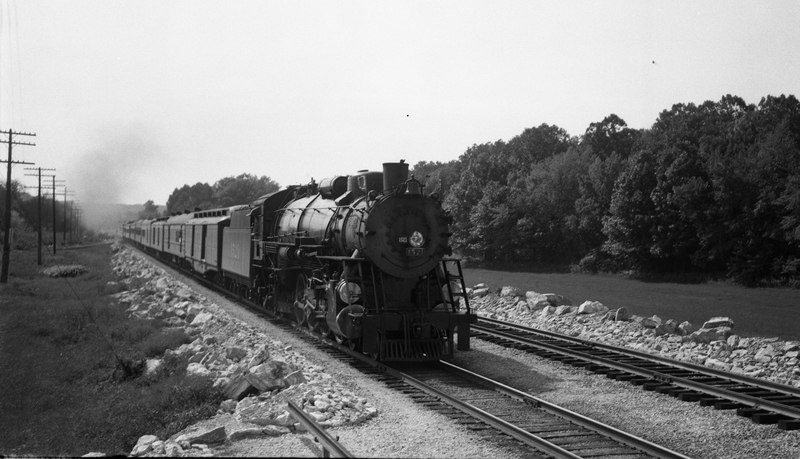 This entry was posted in DW Collection, Steam and tagged 1521, 4-8-2, Baldwin Locomotive Works. Bookmark the permalink.